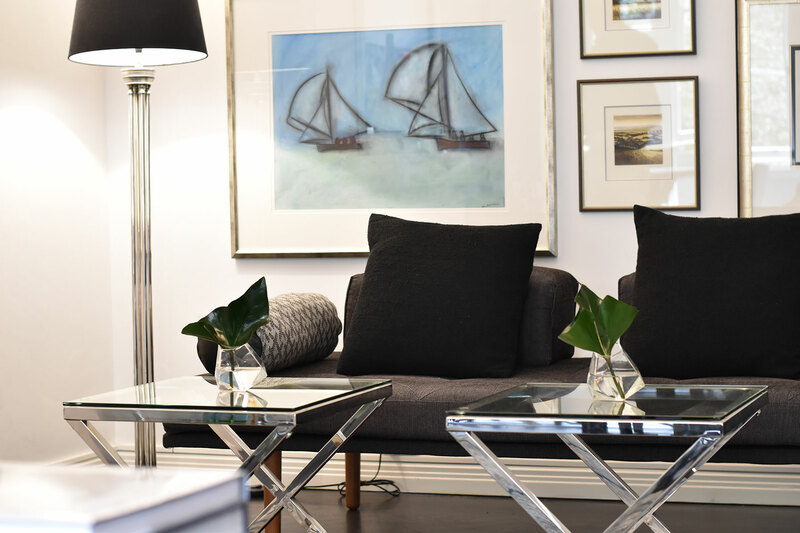 The brief for this one bedroom Potts Point Sydney apartment was to modernise the living, dining, entrance foyer, bathroom and storage spaces while respecting the integrity of the art deco style of the iconic 1930’s building in which it is located. 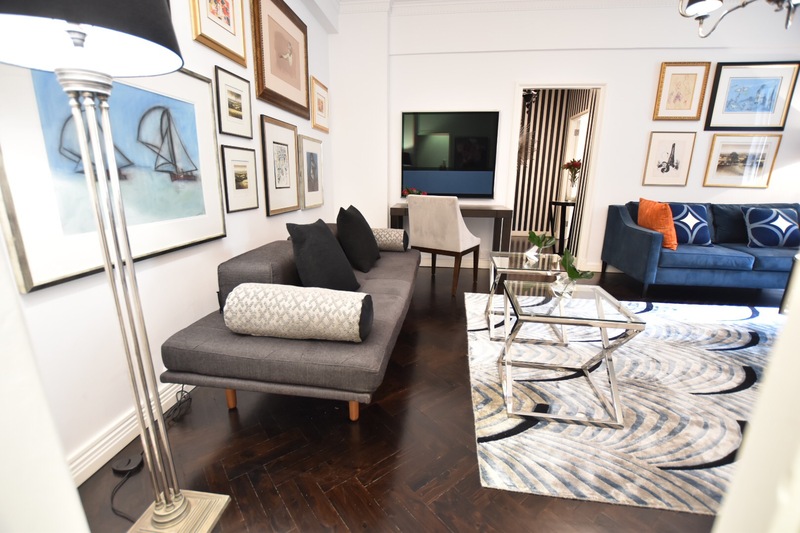 The goal of this home renovation was to develop a striking visual impact whilst creating a comfortable and relaxing environment appropriate to today’s way of life. 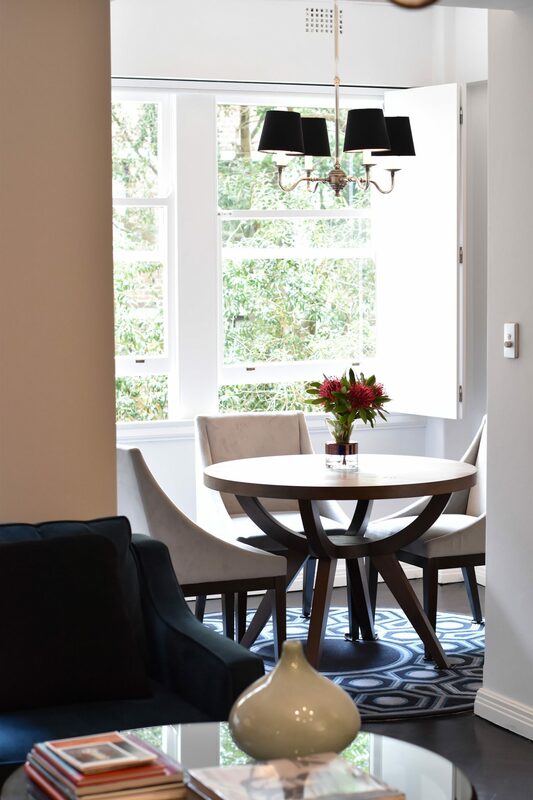 Small and elegant furnishings were selected to create a more spacious feel. 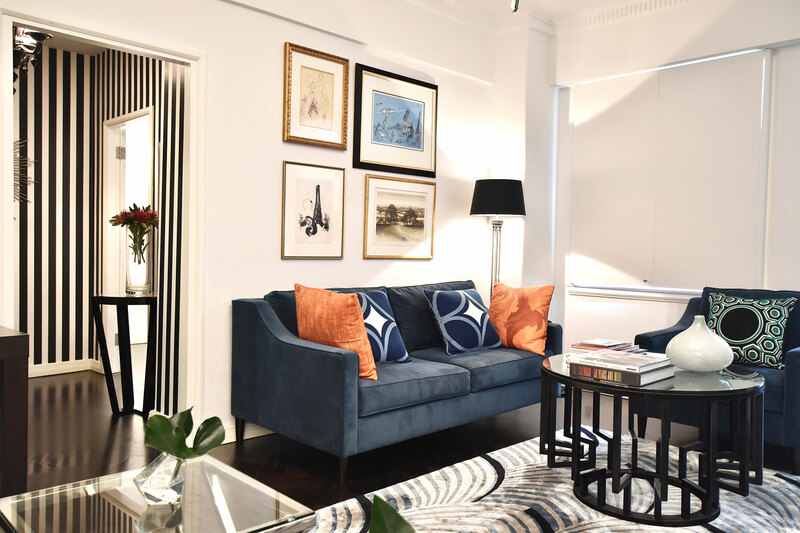 Circular shapes were added to compliment the existing art deco decorative features of the apartment and to offset sharp interior lines, resulting in an aesthetically soothing space. 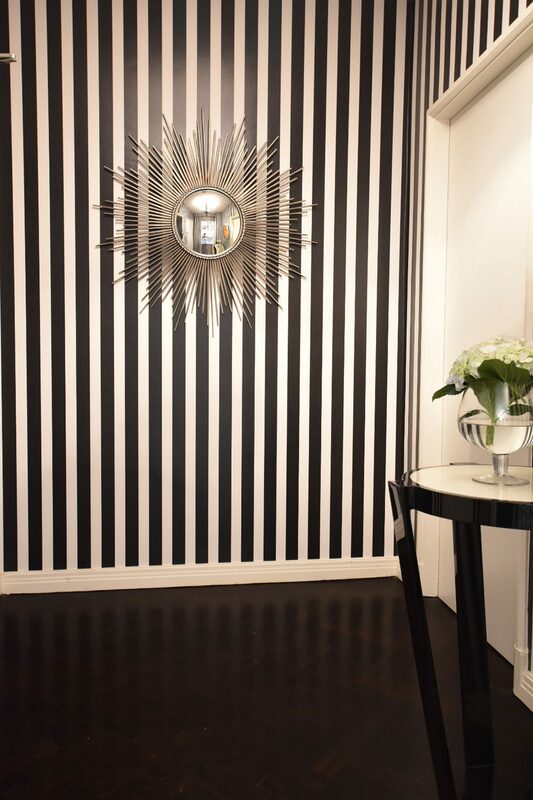 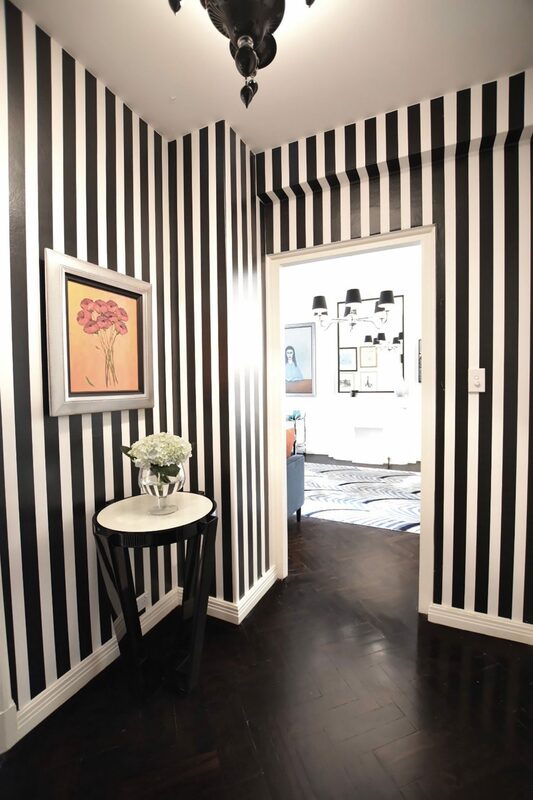 The entrance foyer features a black and white striped wallpaper and a Parisian style hatted chandelier. 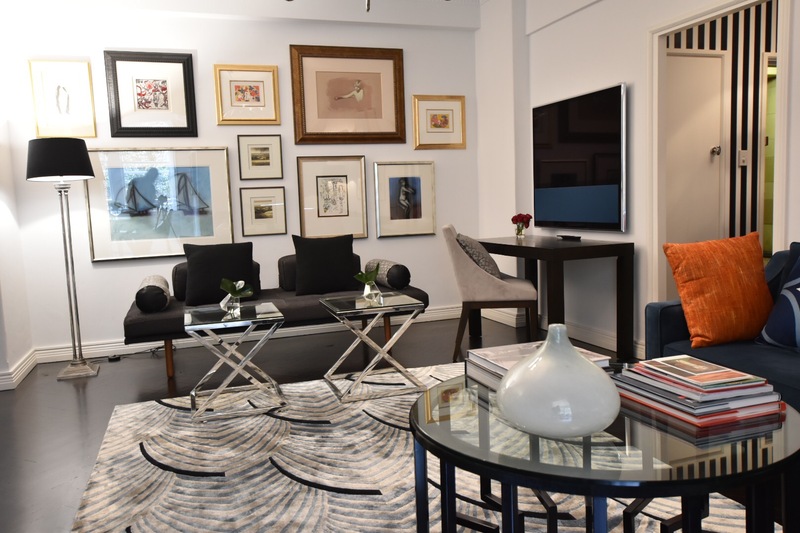 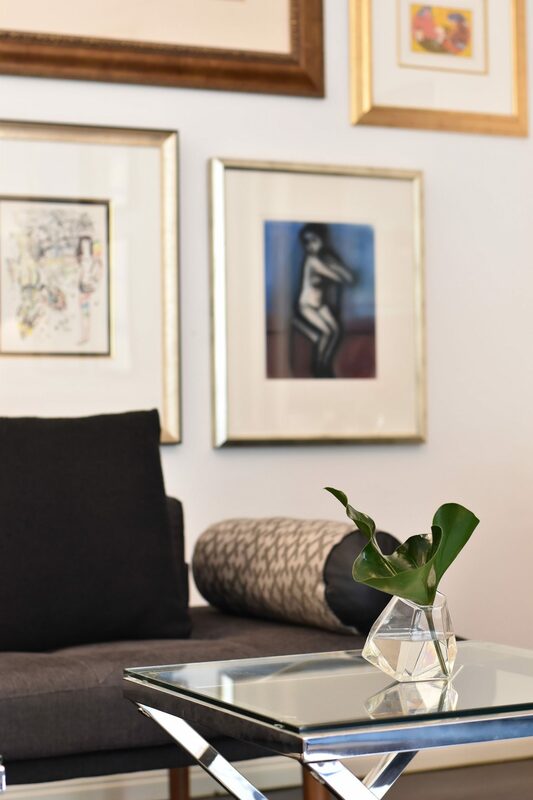 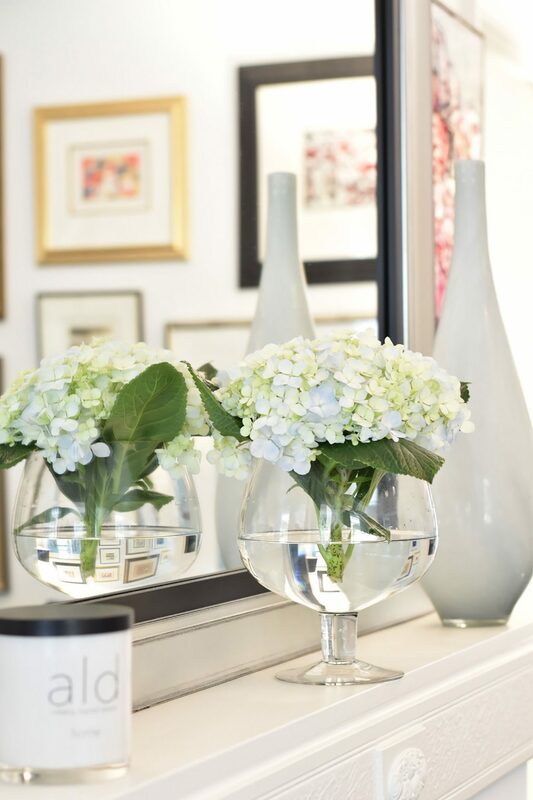 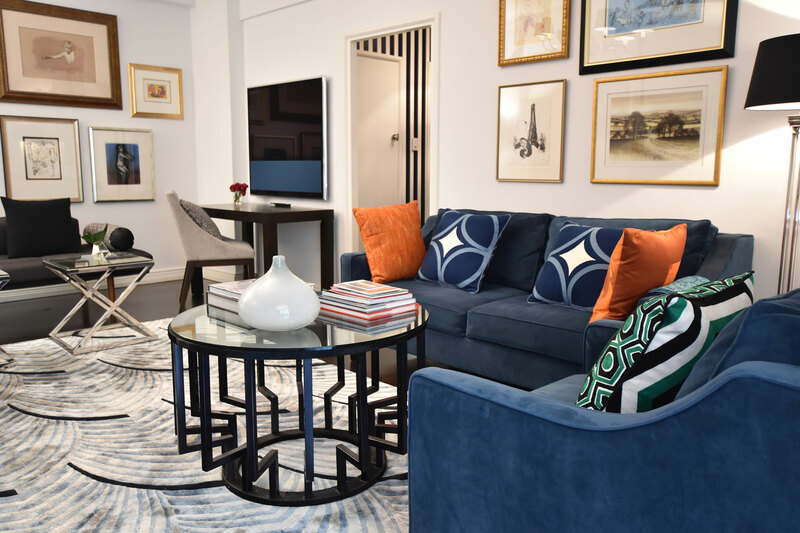 Off the foyer is the large bedroom with a neutral scheme, the perfect backdrop to an extensive collection of artworks and feature furniture pieces. 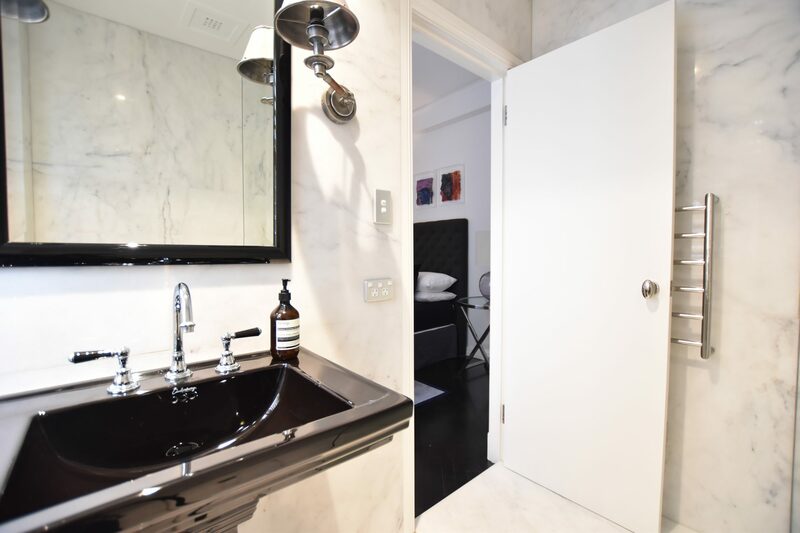 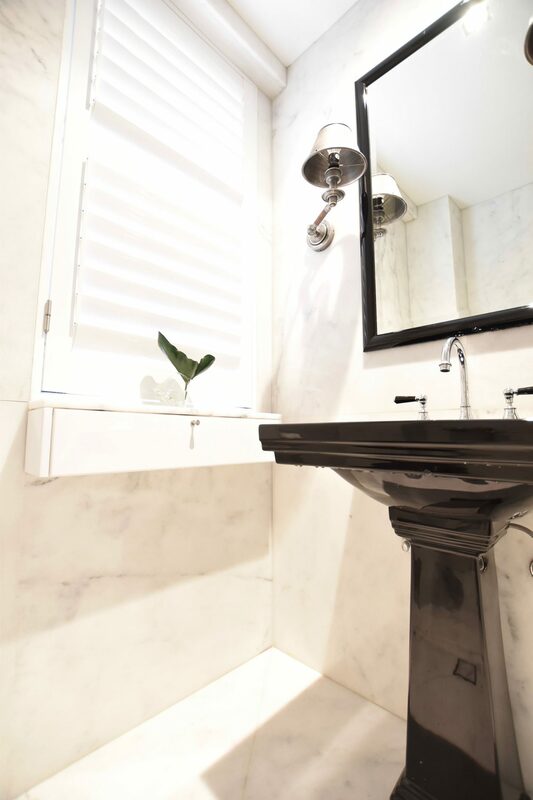 The Carrara marble bathroom features hand selected slabs of imported Italian marble, wall lights with nickel shades and black and chrome fixtures. 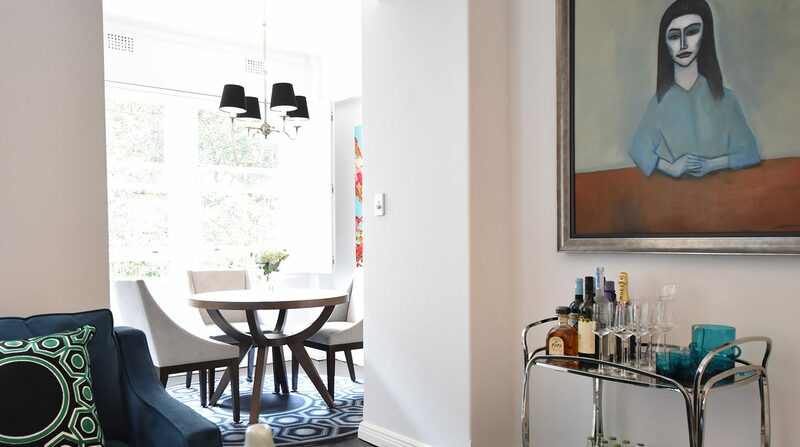 Throughout the apartment, artworks bring to life the design by way of colour, expression and texture. 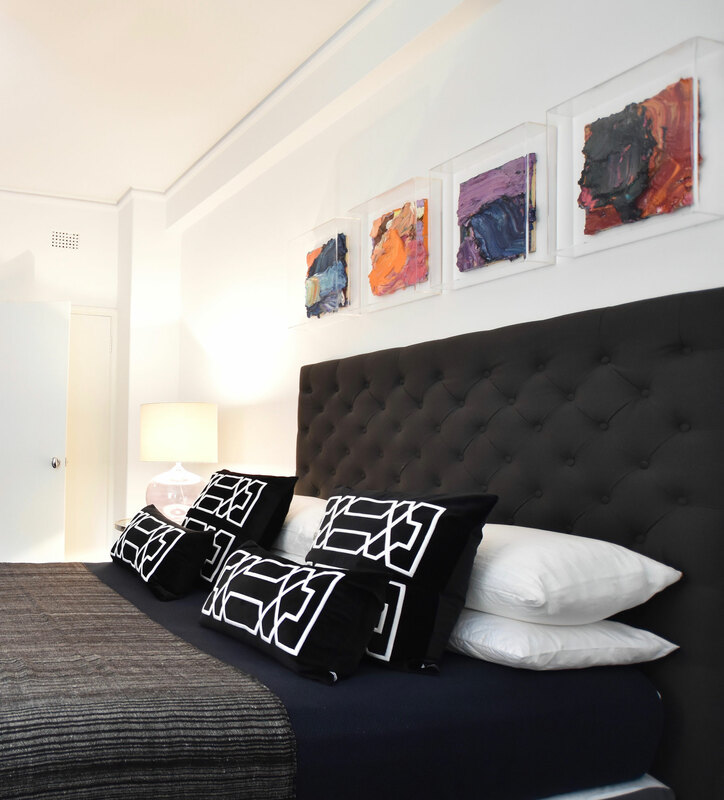 This apartment sits within the iconic Macleay Regis building on Macleay Street, Potts Point.